Luff Industries has been dedicated to supply high quality products to its customers for over 38 years. In order to maintain a high standard of quality Luff has introduced valuable training and procedures for its employees. The Quality Assurance team is constantly monitoring each department through sales and each stage of manufacturing to ensure that a high standard of quality is maintained and passed on to the customer. 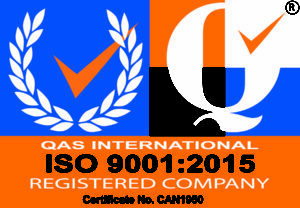 Luff Industries has been registered in the ISO 9001 quality management certification since 1994 and is currently registered under ISO 9001:2015. As a leader in the industry Luff was one of the first companies in Canada that received certification in the latest version of ISO 9001. ISO sets out criteria for a quality management system that includes a strong customer focus and an approach to continuous improvement. The requirements are there to initiate, implement and maintain a system that ensures every single product and service that is presented to the customer conforms to the same high quality standard every time. Continuous improvement and improving customer satisfaction is also an important part of ISO. Luff goes through an external audit every year to renew its certification with ISO and receive approval of its Quality Management System. There are many different documents and categories that need to be assessed including, non-conformance, customer satisfaction/complaints, employee training, quality work procedures and company quality objectives. 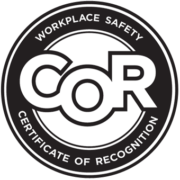 The COR (Certificate of Recognition) is awarded to employers who develop health and safety programs that meet standards established by Occupational Health and Safety (OHS). The health and safety management system must be evaluated and certified by an auditor and meet provincial standards. 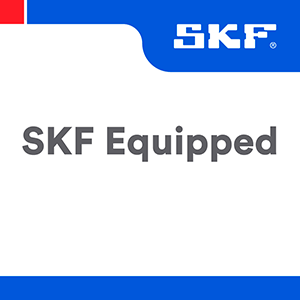 SKF is a leading global supplier of bearings, seals, mechatronics, lubrication systems, and services, which include technical support, maintenance and reliability services, and engineering consulting and training. SKF is represented in more than 130 countries and has around 17,000 distributor locations worldwide. Luff has partnered with SKF Canada to be the first OEM in North America to achieve the SKF Equipped status. After extensive testing it was clear that the SKF Bearings were a great fit for Luff’s range of idlers. Being an ISO 9001 certified company, Luff was able to achieve SKF Equipped status by meeting the high quality standards on the design, manufacture and assembly procedures of rotating equipment set out by SKF. This provides Luff with a competitive edge in achieving longer service life and reducing total cost of ownership. To ensure employees are knowledgeable in the products we do not manufacture, such as bearings, Luff has completed specific product training product care and installation procedures.